Remember my Wednesday night turkey from a few blogs back? Well it’s made several transformations since then. 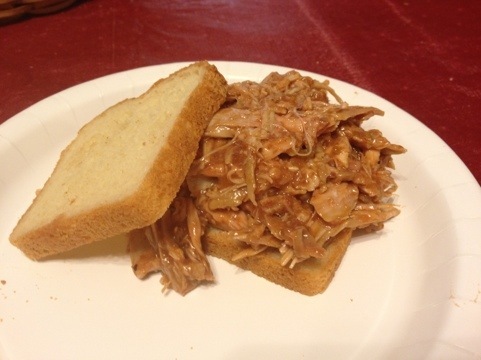 Most recently a pulled turkey BBQ sandwich. There’s no real trick to pulling meat it’s just a matter of putting in the time and muscle. To pull your turkey you first have to take the meat off the bone. 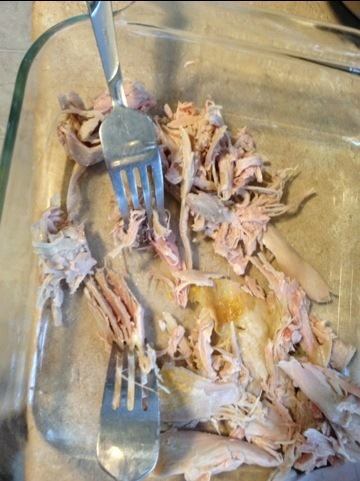 Then use two forks one to hold the meat in place the other to shred or pull the meat. 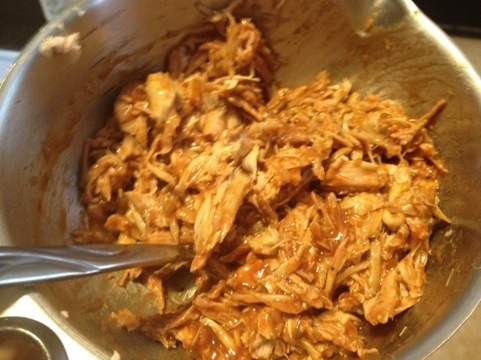 When you finish just pour on your favorite BBQ sauce and enjoy hot or cold on a bun, between two slices of bread or eat it with a fork. My BBQ sauce of choice Dinosaur BBQ, they’re local, they’re gluten free, and they’re sauces are all delicious.